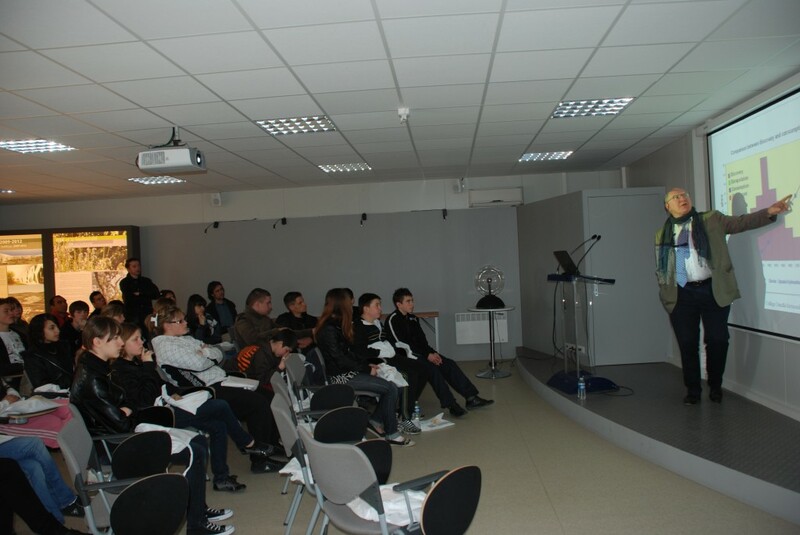 More than 40 pupils from the Collège Camille Reymond visited ITER on 26 March. The young people, aged 11-14, came from the region of Château Arnoux, just north of Cadarache. The visit is part of a new program run by Agence Iter France that organizes visits to ITER for all interested schools in the region. After a tour of the site, Neil Calder, Head of Communication, gave a presentation on ITER.